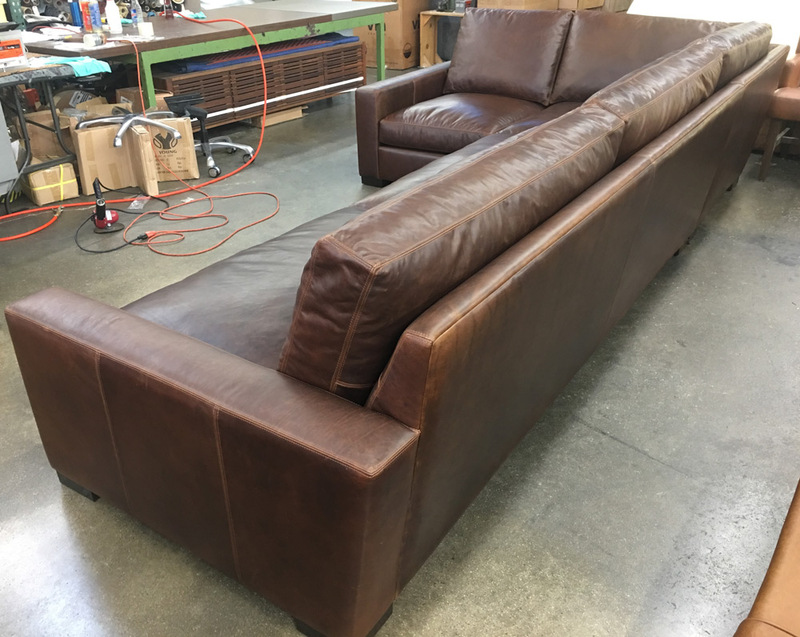 This entry was posted in Braxton, Custom Leather Order Feed and tagged 43" Deep, aniline dyed, Berkshire Burlap, braxton collection, braxton L sectional, braxton leather sectional, braxton sectional, full aniline, full grain leather, Italian Berkshire Burlap, Italian Berkshire Leather, Leather Sectional, maxwell leather collection, maxwell leather sectional, No Ears, restoration hardware on July 10, 2017 by LeatherGroups. 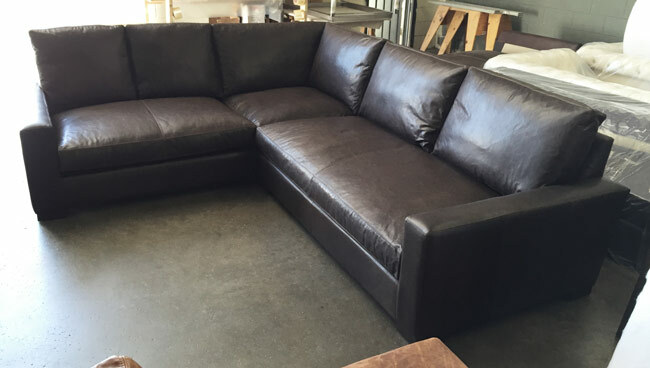 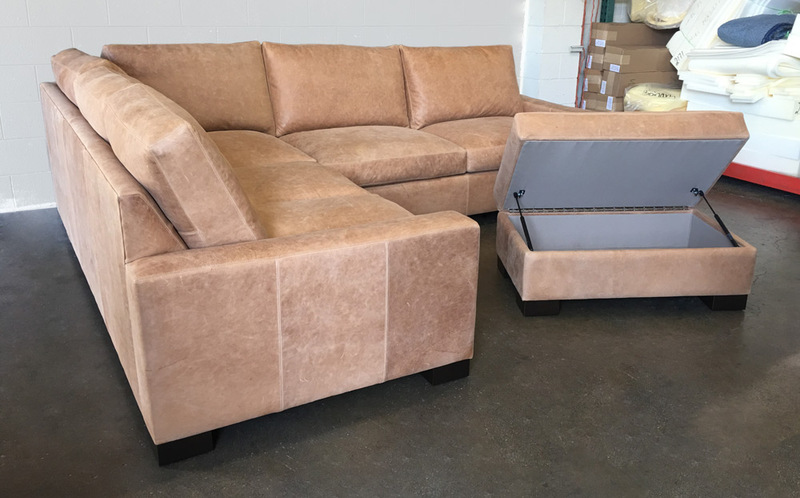 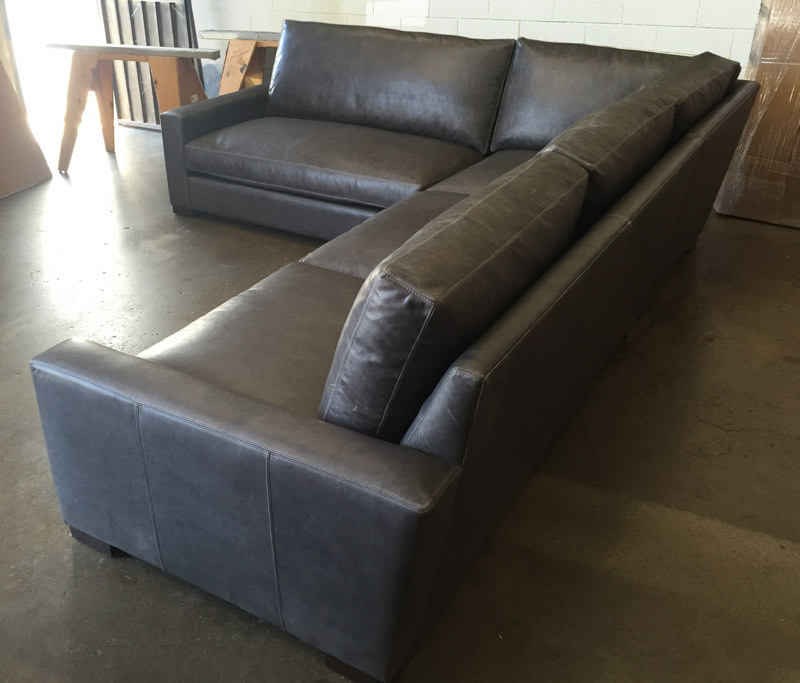 This Custom Braxton L Sectional landed in Ann Arbor, Michigan. 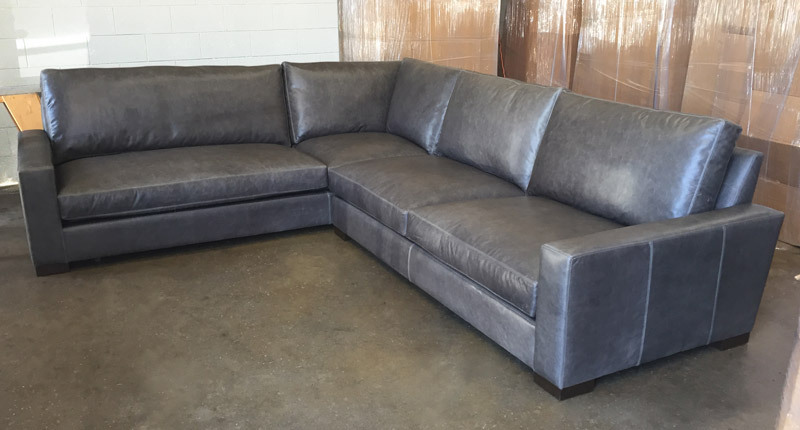 Grey Leather is the hottest trend this year, and this one is tailored in our Italian Berkshire Pewter Leather. 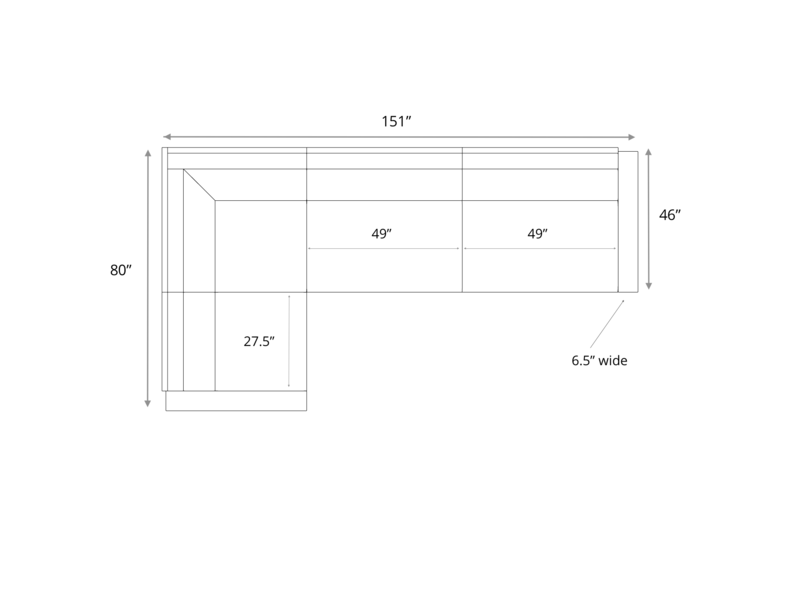 This customer opted to shorten the long side (133″ is standard) by 8″ for a total length of 125″ on the long side, with the standard 105″ on the short side. 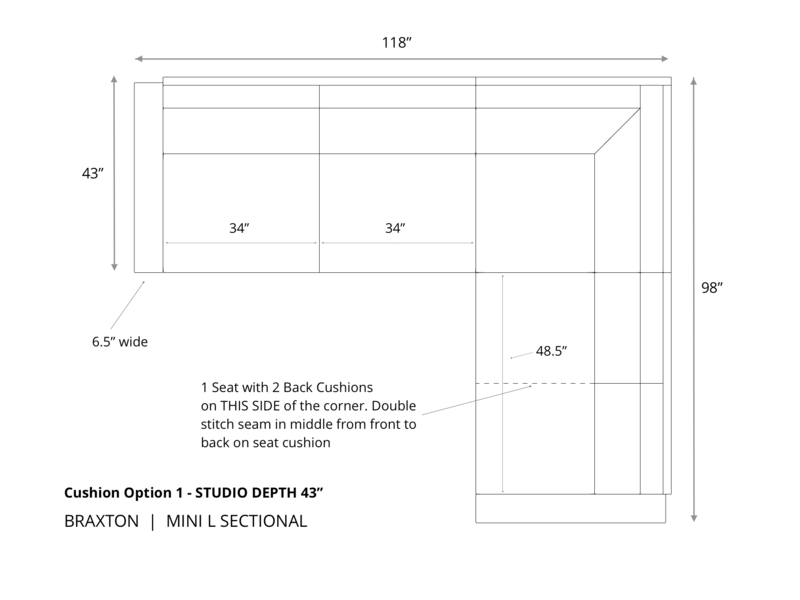 The client opted to do wider seat cushions with “no ears” on the end back cushions (see image below showing ears vs. no ears) and selected our True 8-way Hand Tied Suspension system. 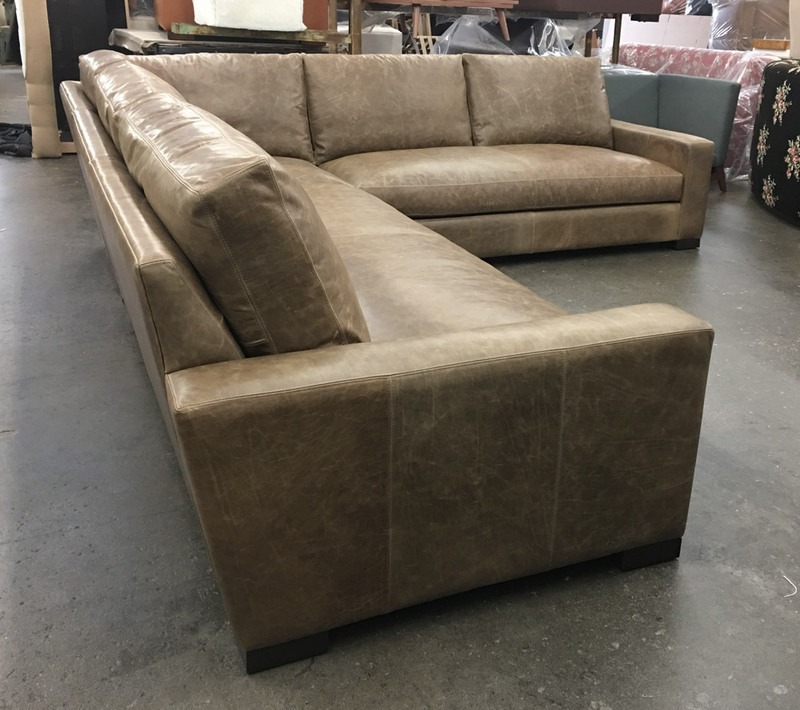 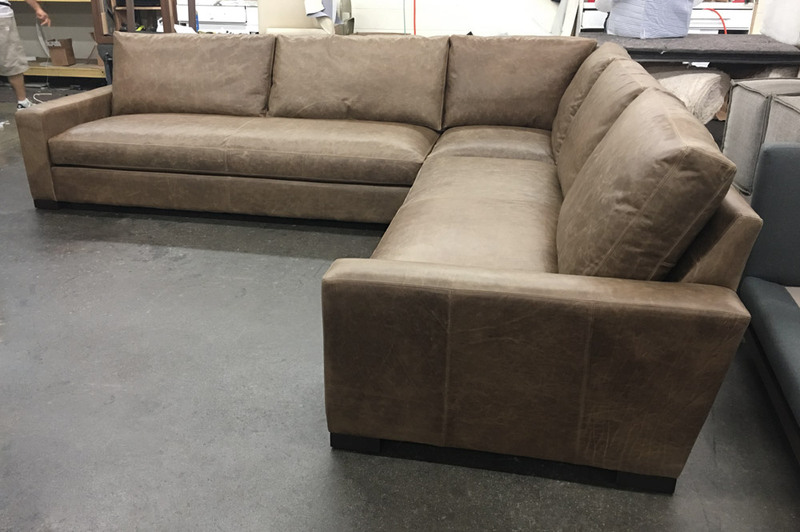 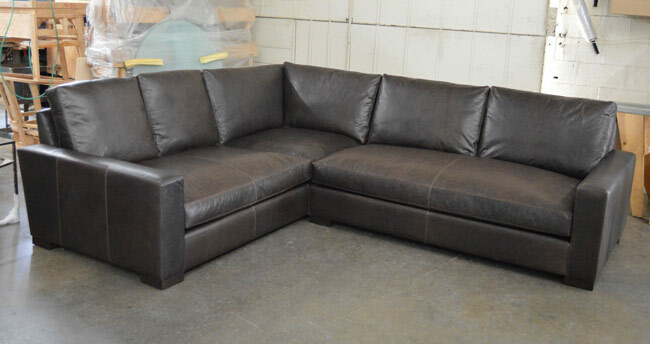 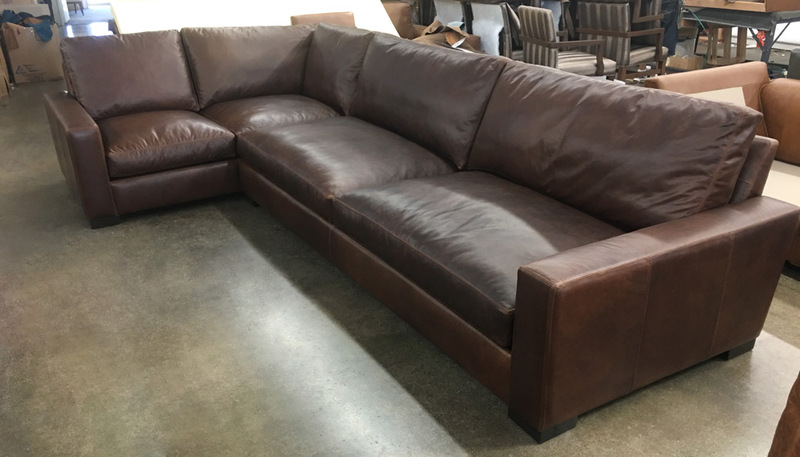 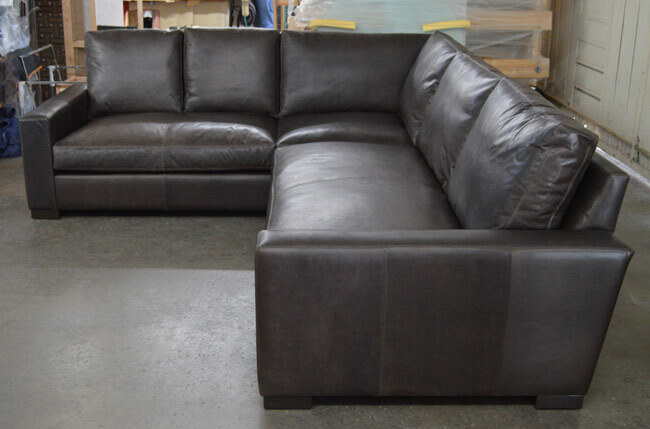 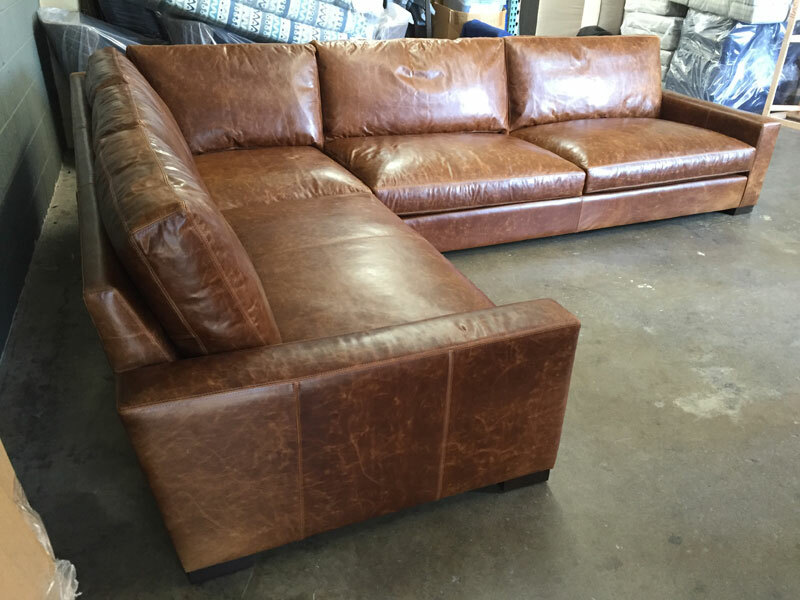 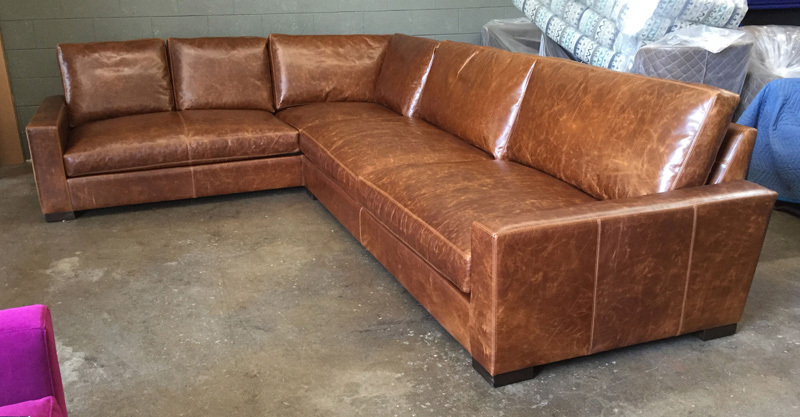 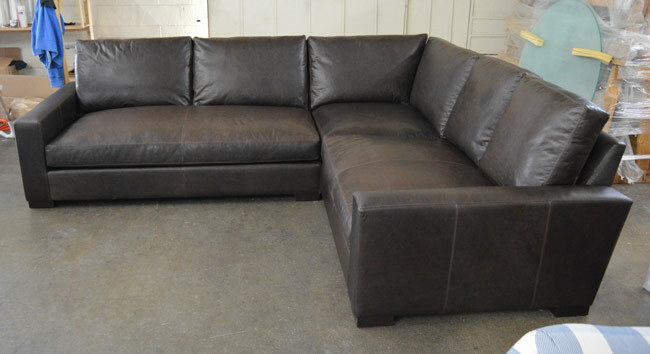 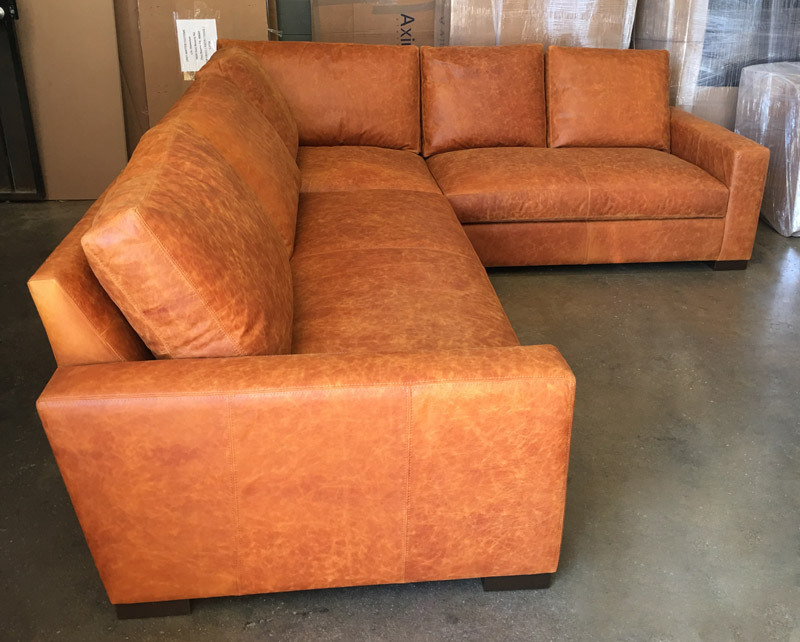 This entry was posted in Braxton, Custom Leather Order Feed and tagged 43" Deep, Berkshire Pewter, braxton collection, braxton L sectional, braxton sectional, custom length, Italian Berkshire Leather, italian Berkshire Pewter, maxwell leather collection, Maxwell Leather L Sectional, maxwell leather sectional on July 22, 2016 by LeatherGroups.